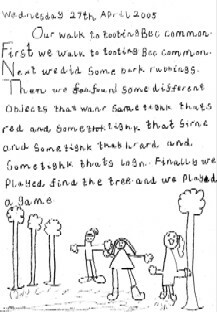 Click on an image or a student's name to see an enlarged version of their work. 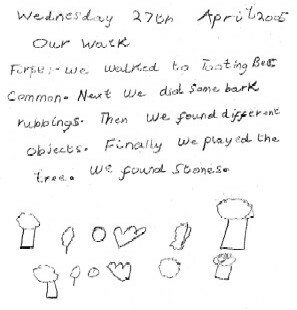 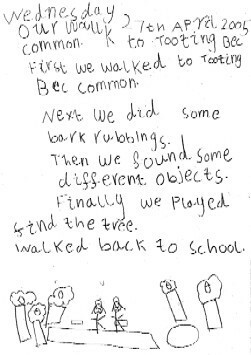 Year One children from Furzedown Primary School walked to Tooting Bec Common and explored the woods there. 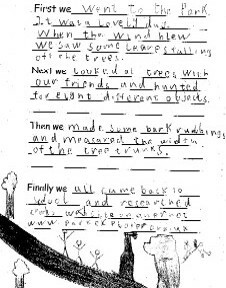 Here is what four of them wrote when they got back to school.